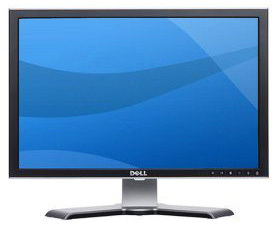 Dell are a popular manufacturer of TFT monitors, offering well designed models, great functionality and features, low prices and most importantly to many consumers, a good choice in LCD panels. 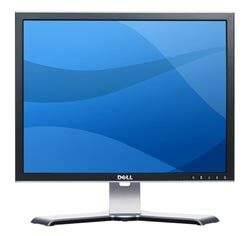 However, Dell have commonly varied the panels they use in their range, largely due to availability and cost. This has created confusion amongst potential buyers and an elitism towards some versions. 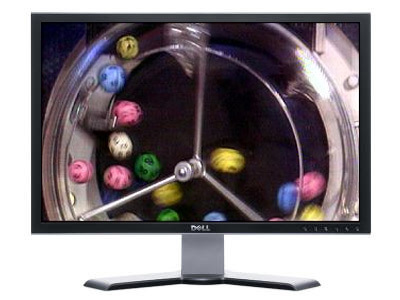 The following article will cover the so called 'panel lottery' in the Dell monitor range, allowing you to understand the differences and how to tell which version you have. 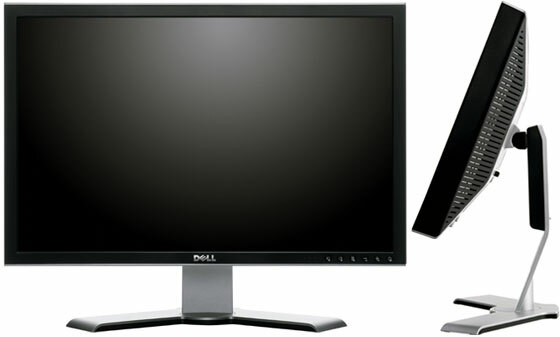 One of the earlier models in Dell's range was the 19", Dell 1905FP. This commonly began to feature one of two different panels. 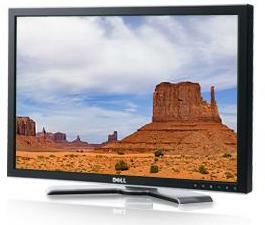 The Dell 1905FP has always been advertised the same way by Dell and other retailers, offering a 20ms response time along with 800:1 contrast ratio, 250cd/m2 brightness and 178 / 178 viewing angles. 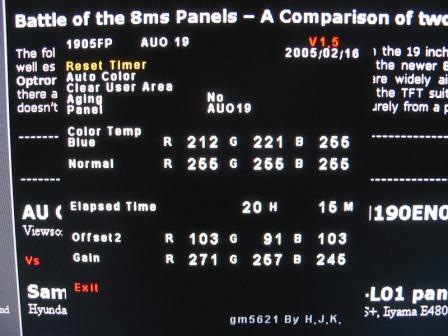 This was based on a Samsung PVA panel, the LTM190E4, which had already been used in the Samsung 193P as well. There was arguably one of the best 19" panels for the non-gamer at the time, offering excellent image quality, colour reproduction and viewing angles. However, the slow response time, and lack of RTC / overdrive meant this was not really suitable for much gaming. Nevertheless, the 1905FP remained popular for other users. 3- While holding the 2 buttons press now the 'Power' button. 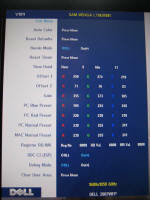 5- Go to OSD menu (by pressing 'Menu' button) then select the 'Reinit' option (red point at the bottom of menu). This left the consumer with a confusion around what they might receive and many potential buyers were quick to decide which was the "better" of the two versions. This was probably the first well documented 'panel lottery' in the range, and look where it's left us today! 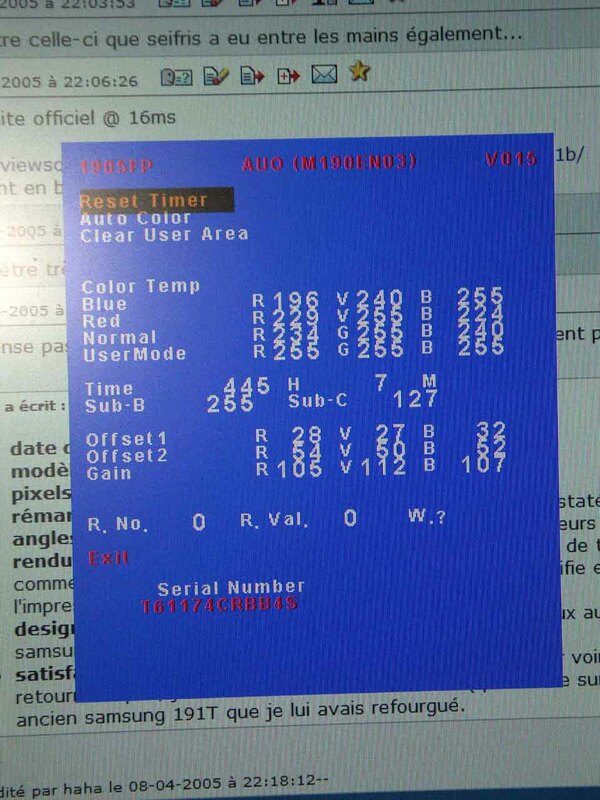 Panel Code HN210: S-IPS LG.Philips LM201U05 - Suspected, process of elimination. 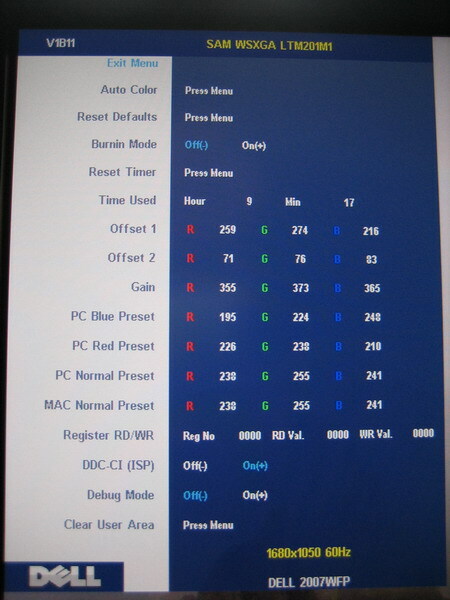 The Dell 2407WFP had several firmware changes during it's first year, with corrective measures being taken to address the early problems with text clarity and colour banding. You can read more about the issues and the changes which were made in our article here, but ultimately it was the same S-PVA panel from Samsung being used throughout; that being the LTM240M2 S-PVA panel. Recently there has been discussion of a second type of panel being used, based on user observations and reported difference with viewing angles most notably. It was suspected that an S-IPS panel might be used, but it appears this isn't the case. ChrisM, a representative from Dell, recently posted on their support forums that the 2407WFP also uses and "AUO M240UW01" panel. There is not much in the way of further information about this unfortunately, but it is suspected this may be a recent change, possibly being used in some later stock of revision A04 onwards? It is also unclear which revision of the panel this is, and whether it is P-MVA or AMVA. 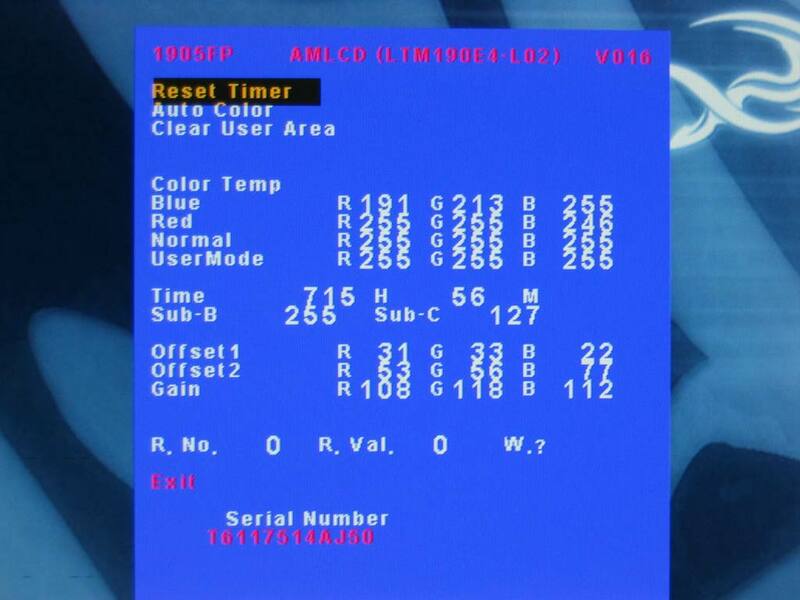 There is only one panel used in the HighColor version of the 2407WFP, that being Samsung's LTM240CS01 S-PVA panel. Since Dell have stated they will not be updating the panel / monitor to correct the reported ghosting issues, I wouldn't expect to see any panel lottery or change here.